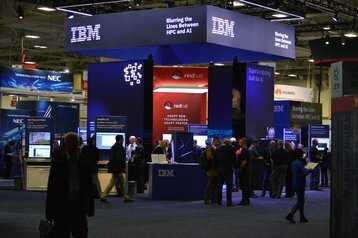 IBM's cloud division saw revenues decline by two percent year-on-year, to $5bn, in the first quarter of 2019. The group, which also includes its AI and cognitive software unit, would have reported a slight increase (also of two percent) had the US dollar remained constant, with the strong currency decreasing overseas income. Across all of its businesses, revenue fell five percent to $18.2bn. Shares fell roughly four percent in extended trading - but have grown overall this year. "Our results reflect the fundamental changes we have made to our business, allowing us to generate greater operating leverage. In the first quarter, we significantly expanded profit margins, led by our services businesses," IBM CFO James Kavanaugh said. "Our focus on prioritizing our investments in the emerging high-value segments of our industry has enabled us to drive higher profitability and strong cash generation." 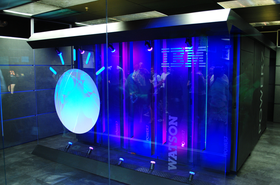 Last year was IBM's first year of growth after nearly six years of falling revenue. As part of its plan to turn things around, the 108 year old company in October announced that it would acquire Red Hat for $34bn. The deal to buy the enterprise open source cloud software solutions company still has to be approved by regulators, and is expected to close later this year. 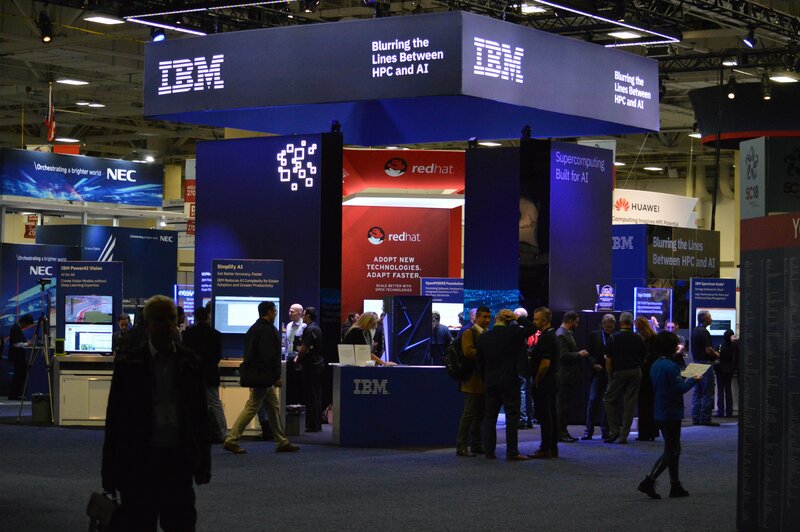 "As we prepare for the Red Hat acquisition, we are investing to build on our partnership as a services integrator for Red Hat to be a leader in hybrid multi-cloud services," Kavanaugh said in the earnings call (transcribed by Seeking Alpha). 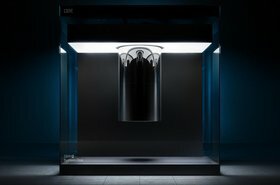 IBM's Systems division saw revenues drop nine percent, primarily due to a large fall in it IBM Z mainframes revenue. The 38 percent decline, the company claimed, was due to buying cycles. There was some success to be found with its z14 microprocessor: "Our single frame z14 designed specifically for cloud data centers remains a growth diver," Kavanaugh said. "We are seven quarters into the z14 cycle, and the program continues to track ahead of the prior program." Its Power chips also did well, with revenue up nine percent "driven by Linux and the full rollout of our Power9 based architecture," Kavanaugh said. Storage hardware suffered, down 11 percent, something that was partially tied to the mainframe drop, but also due to "the ongoing competitive dynamics and pricing pressures." In an upcoming issue of DCD Magazine, we detail one of IBM's efforts to build new business - phase-change memory processors for AI workloads. Be sure to subscribe.